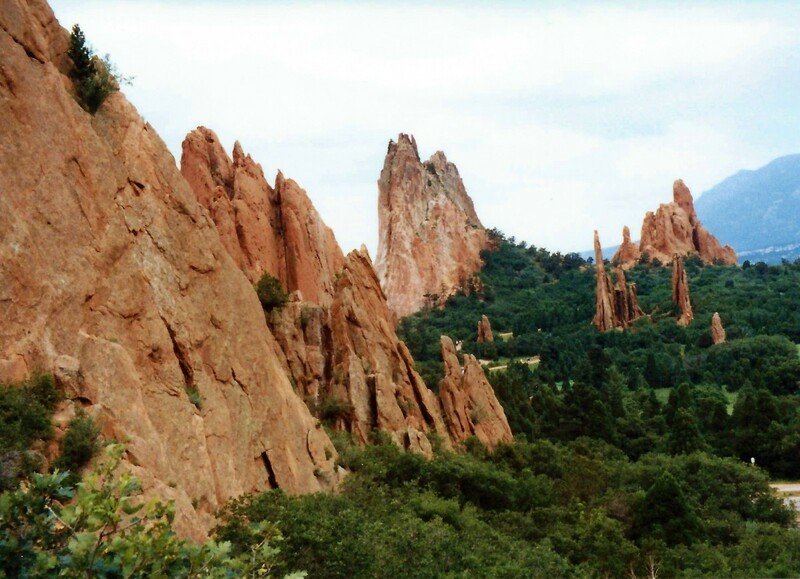 This towering mountain in Colorado Springs dominates the landscape. 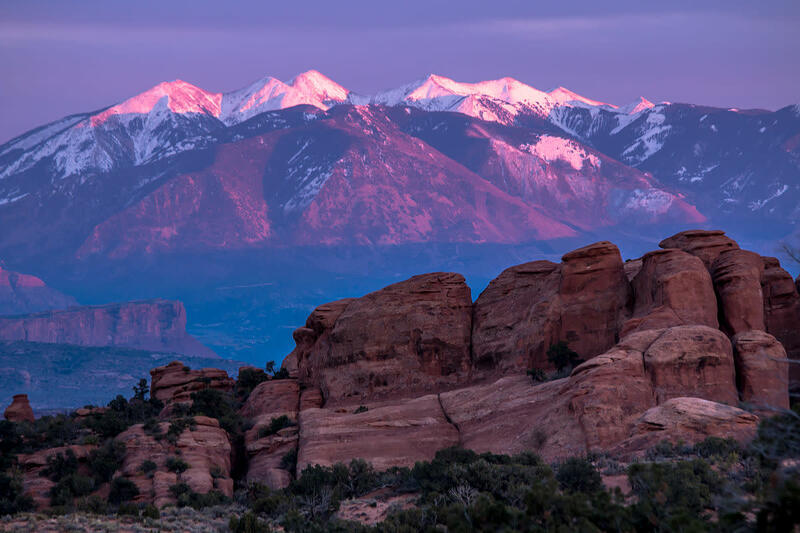 Naturally, when my mother and I were visiting Colorado Springs while on vacation one year, we wanted to see the top of this "purple mountain majesty" and did so by purchasing tickets on a Gray Line sightseeing bus tour. Why was the term "purple mountain" used? 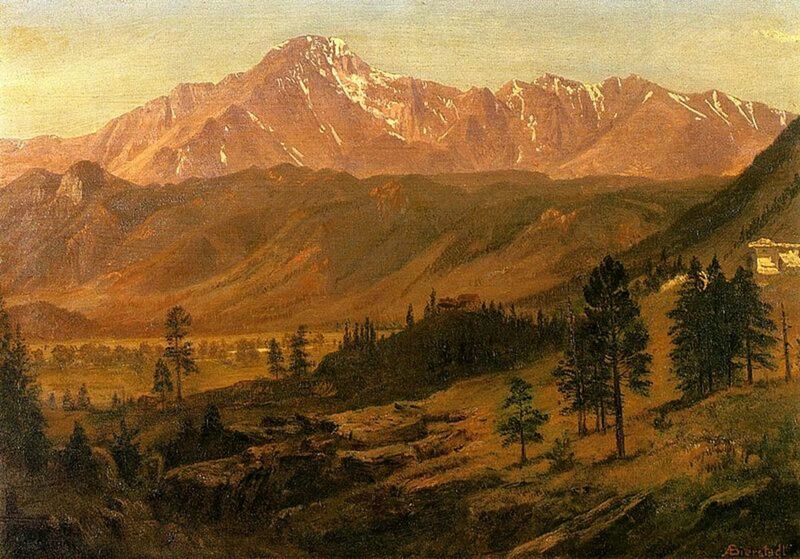 For those who might not know, the well-known anthem "America the Beautiful" was inspired when Katharine Lee Bates gazed at the wonder of Pikes Peak which is over 14,000 feet in elevation. She was a professor of English literature at Wellesley College who happened to ride to the top of this Pikes Peak in a wagon in the year 1893. "O beautiful, for spacious skies, for amber waves of grain. For purple mountain majesties, above the fruited plain! America! America! God shed His grace on thee and crown thy good with brotherhood, from sea to shining sea." It is such a beautiful song, and Pikes Peak is an appropriately beautiful sight! Driving up to the summit of Pikes Peak would have been a daunting task for one who is used to the flat topography of Houston, Texas. My mother and I were leasing a car while on this Colorado vacation and decided to just be a passenger on a Gray Line tour of this mountainous climb of over 6,710 feet. It is riddled with turn after turn on a graded road with some sheer drop-offs. Once we started the ascent we were even happier that we had made that decision! 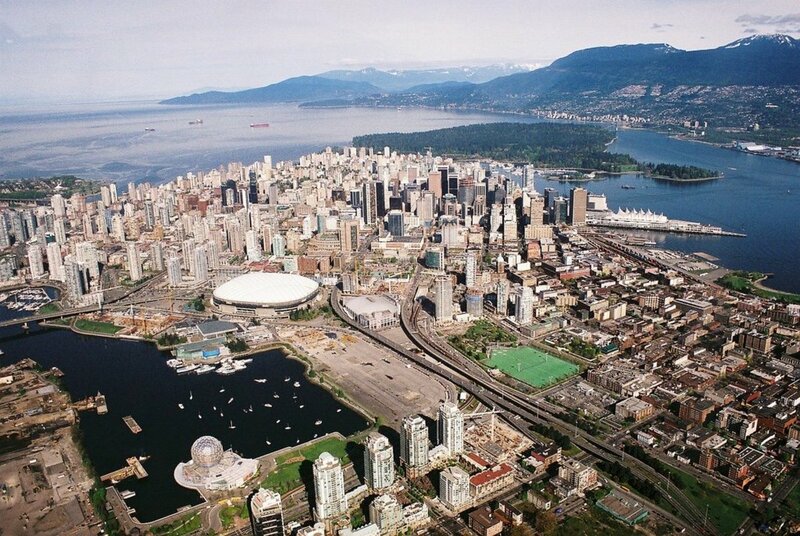 Often when on vacation we have taken advantage of bus tours when we are in new places. Not only do the bus drivers and tourism guides know the lay of the land but also impart information about what one is viewing. The Gray Line tour that my mother and I chose to take to ascend Pikes Peak was well worth the money. A stop was made part way up the mountain, at the mile six marker at the Crystal Reservoir visitor center. Stopping at this point in the ascent up Pikes Peak gives people a chance to see the beautiful Crystal Reservoir and walk around a bit to become more acclimatized to the altitude and purchase refreshments or use the restrooms if desired. We took the time to ambulate, take photos, and generally enjoy the scenery. At Crystal Reservoir it was easy to see that mountain climbing classes were being held. We saw quite a few people making their ascent with the help of instructors. 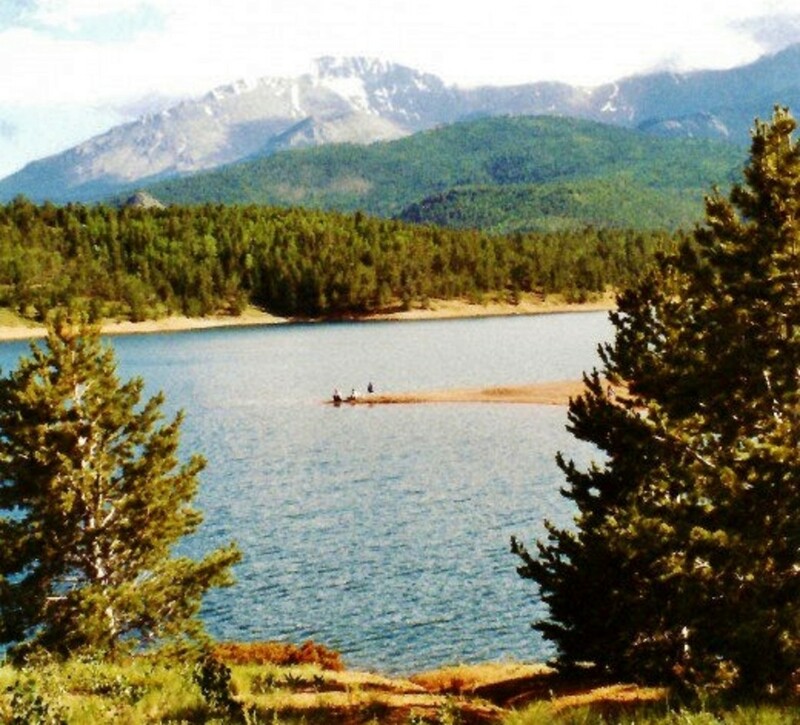 Hiking, fishing and boating is also enjoyed at this high elevation mountain lake and locale. Looking out the Gray Line bus windows towards the mountain as we were ascending Pikes Peak in July, we saw numerous blooming wildflowers amidst the rocks. There are adventurous auto racers that race this road on an annual basis some of which is not even paved but gravel. Crazy! That is my sole opinion after traveling up this mountainous road with the relative assurance of having a seasoned bus driver escorting us. That was scary enough for me! 1916 was the date of the first Pikes Peak International Hill Climb race. The course is over 12 miles long and consists of 156 turns and just about 5,000 feet of elevation gain. There are very few relatively straight stretches of highway, and in those rare instances, some of the winning cars have exceeded 130 miles per hour! For race car drivers such as the ones who compete in the Indianapolis 500, this is just another test of their skills and competence in handling their souped-up race cars. The air is thin at the summit of Pikes Peak. From that vantage point if the day is clear one can see as far as Kansas and even New Mexico. There is a restaurant/souvenir shop at that location that actually offers an oxygen bar for those people who are having a bit of difficulty in breathing. 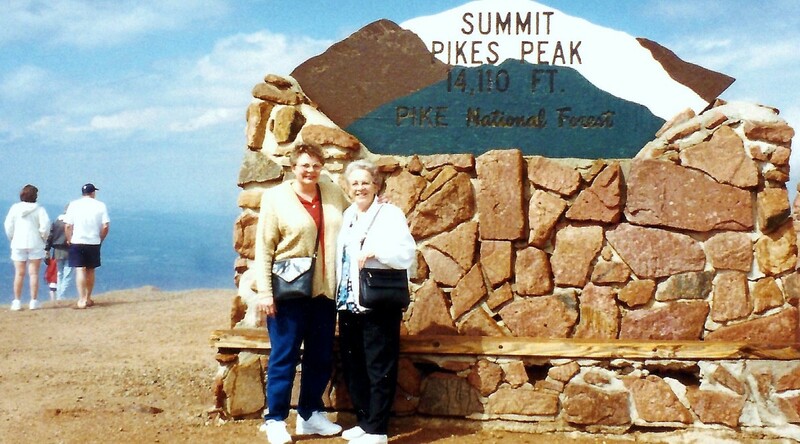 Naturally, most people wish to have their pictures taken at that landmark location and my mother and I exchanged cameras with other tourists and snapped photos so that we could each take home proof of our having been to the summit of Pikes Peak. 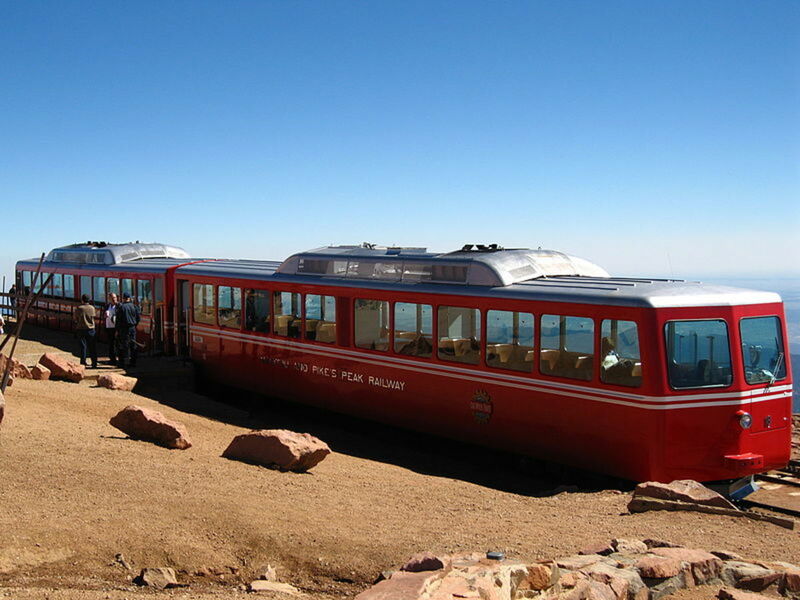 Climbing nine miles up with a vertical ascent of 7,539 feet one can choose to get to the top of Pikes Peak by riding the highest cog railroad in the United States instead of driving or hiking. 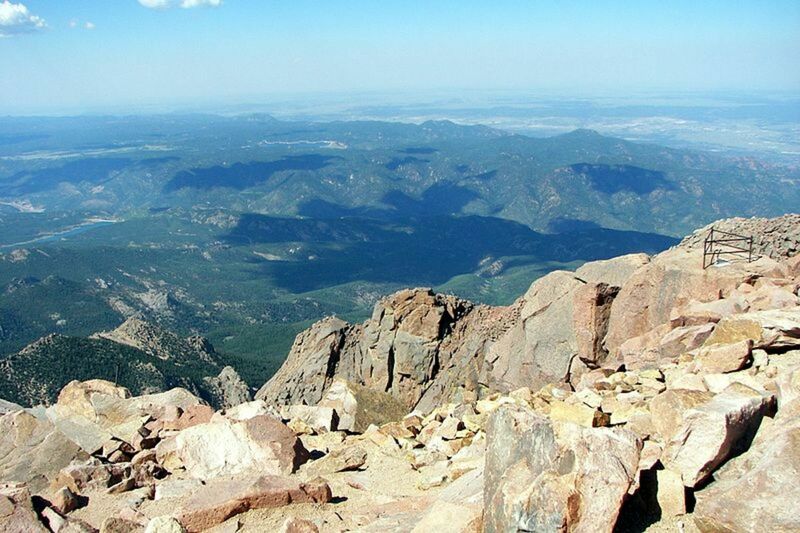 Yes, some adventurous and athletic types really do choose to hike up Pikes Peak! 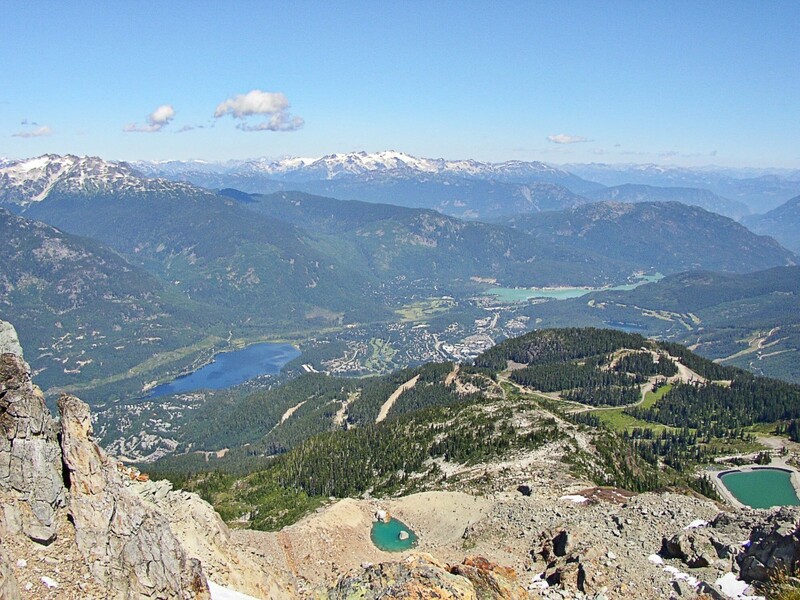 Many people ride this cog railway and see mountain scenery from that perspective. He was an explorer and soldier who attempted climbing the mountain in 1806. Pikes Peak now bears his name even though he never made it to the top. His mapping of the area was most important and furthered exploration of the west. As you can probably see from these Colorado Springs vacation pictures, a sightseeing bus tour of Pikes Peak or a cog railroad trip to the top makes for a unique experience. 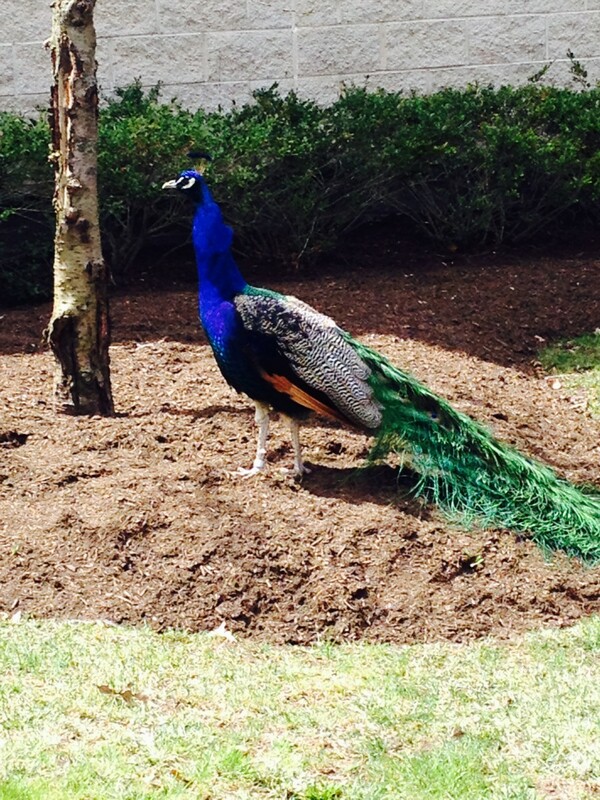 One is rewarded with spectacular scenery as one travels through five different life zones. On a clear day it almost seems as though the horizon from this top of the world perspective is limitless. 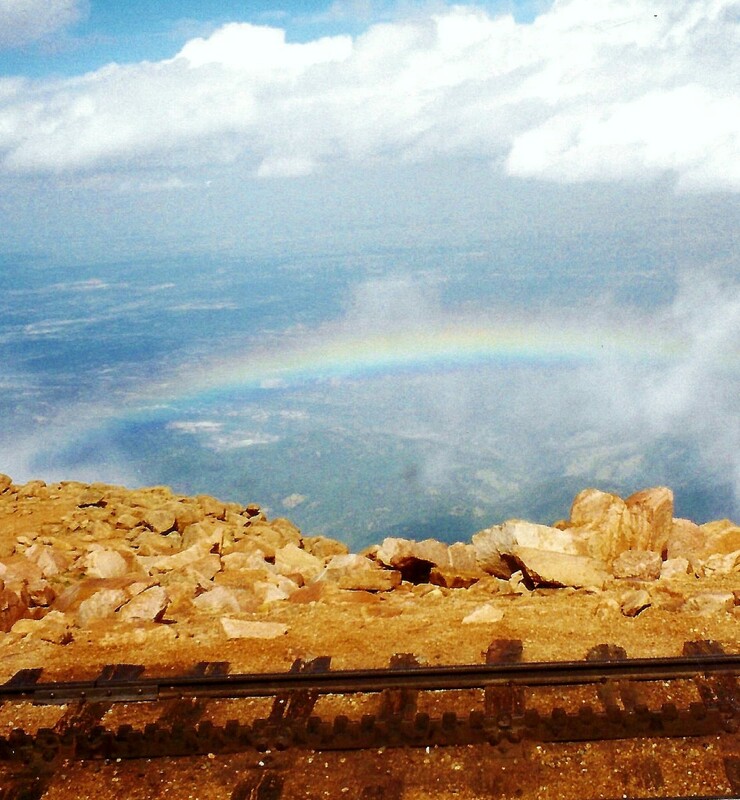 Have you visited Colorado Springs and gone to the top of Pikes Peak Mountain? Yes, I have been there and done that. Have visited Colorado Springs but have not gone to the top of Pikes Peak. Have done neither, but it looks like it would be beautiful and fun. It is interesting that you are using colors on your Pinterest boards. Thanks for the pin, 5 star rating and votes on this Pikes Peak hub. You are so right when you say there are some crazy drivers racing around those sharp turns and roads with no guardrails to keep them from going over cliffs. Check out my article on the Colorado National Monument and read how they had to fish (usually teenage boys) out of the bottom of that canyon several times a year. 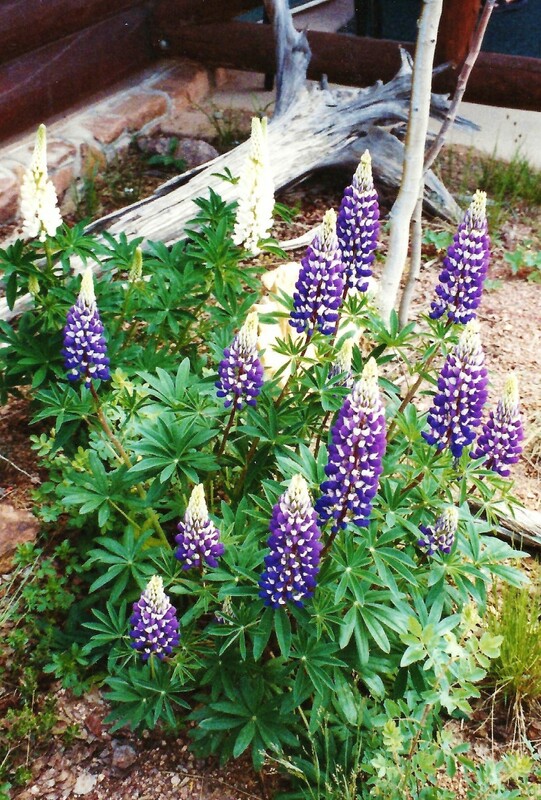 Voted up, BAI, shared, and pinned to my 'Purple II' board -- because of the flowers. Also, 5 more stars! We did have a great time seeing Pikes Peak and much of the Colorado Springs area. Thanks for your comment. Worried about the wildfires there that are threatening much of Colorado Springs this month of late June, 2o12. Do you still have anyone living there? Often we would do that...take a sightseeing bus tour on new areas whether it was Pikes Peak or different areas of the country. Not only can one see more but generally one is advised of things that one might never have known if it were not for tours. That way the pictures have more meaning. Thanks for visiting this Colorado Springs hub. Great pictures and videos. I think going on a bus tour is a great relaxing way to go. When you are driving, you're missing so much of the scenery. On a bus tour you can sit back enjoy and take all the pictures you wish. You are always so complimentary and I appreciate your comments and vote. Glad that I could show you this Pikes Peak portion of our Colorado Springs vacation with pictures and words however inadequate. It is an experience going up and back down that mountain! Love and peace to you. Wow.... 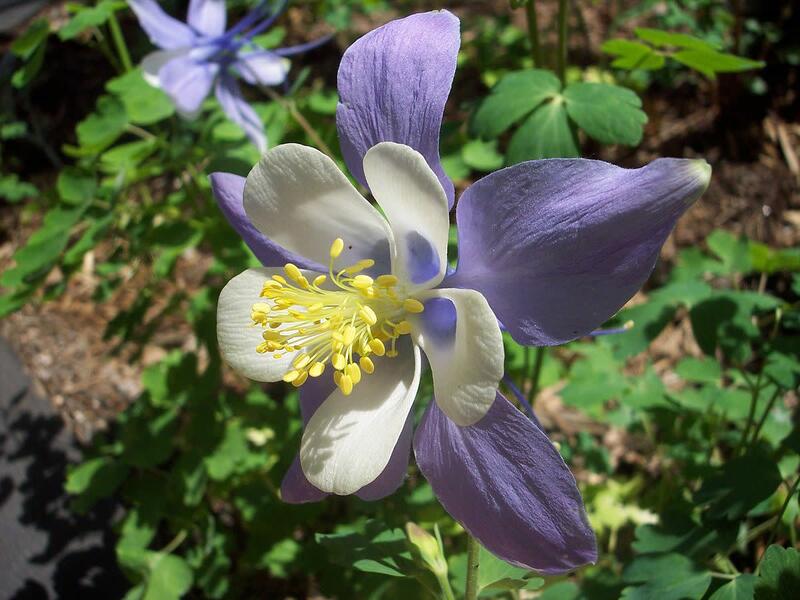 I find complete information about Colorado Spring Vocation. That's would be a great trip. You did it again, Peggy. I love your report and all stunning pictures here, including the video. Well done, my friend. I give my special vote to you. Take care! 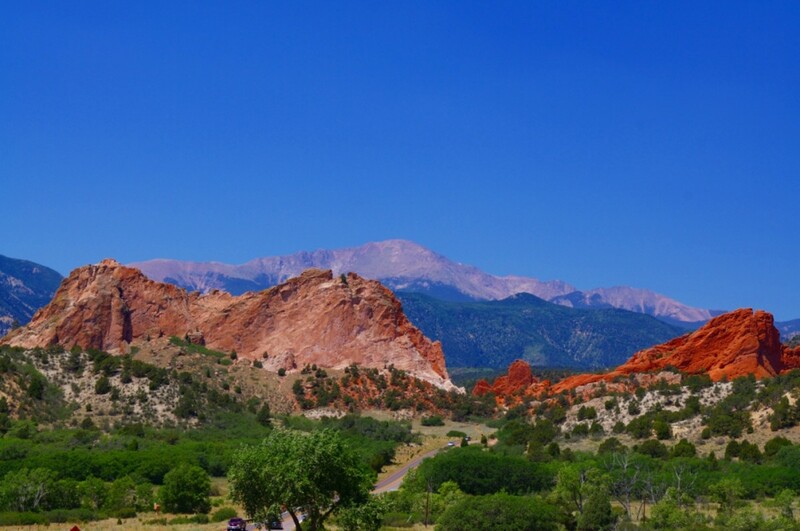 If you have not vacationed in the Colorado Springs area, there is much to see besides Pikes Peak...although that is the dominating mountain in the area. Colorado is such a beautiful state! Have more to write on that subject! You must like Colorado from your comment. Thanks for commenting on our Colorado Springs vacation and sightseeing tour bus tour of Pikes Peak. Happy to have included the pictures that I took on that occasion. Pikes Peak I am totally unfamiliar with - thanks for the tour update, beautiful shots and I can see you and your family had a fun, fun time. Another great tour in your vacation series. That's great! 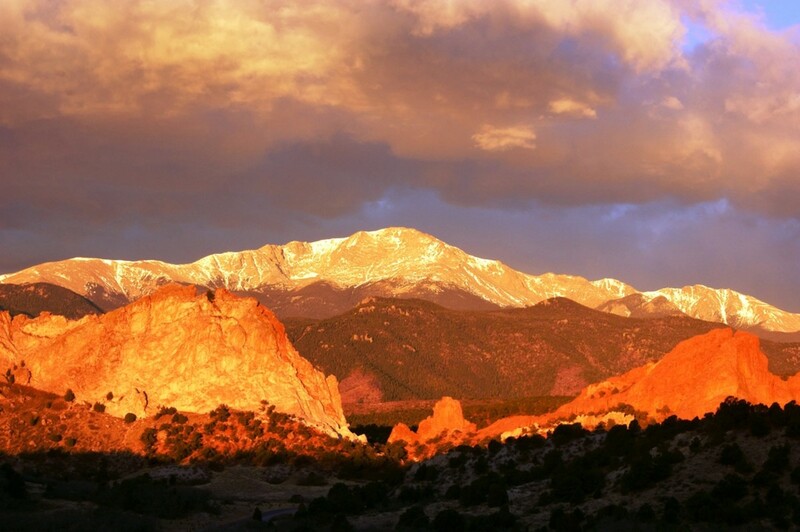 Enjoy your Colorado Springs vacation and get some of your own pictures of Pikes Peak and the surrounding area. 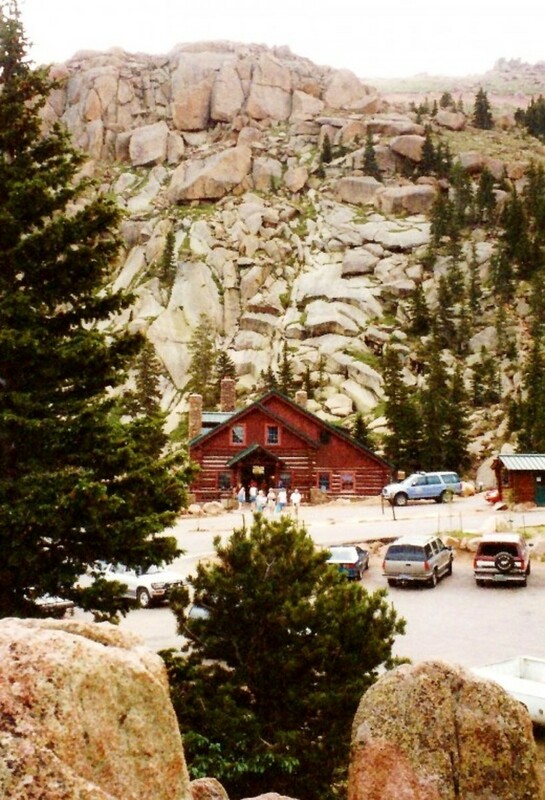 If you have not been there previously, you might wish to check out some of my other Colorado hubs to give you an idea of some the other sites that can be enjoyed while there. Thanks for the comment. Glad to hear that you enjoyed these pictures of the portion of our vacation we spent in Colorado Springs, specifically the sightseeing bus tour of Pikes Peak. Colorado Springs is such a scenic part of the beautiful State of Colorado. Thanks for the comment. Hope you get to see this in person someday. Another great hub on Colorada Springs vacation. 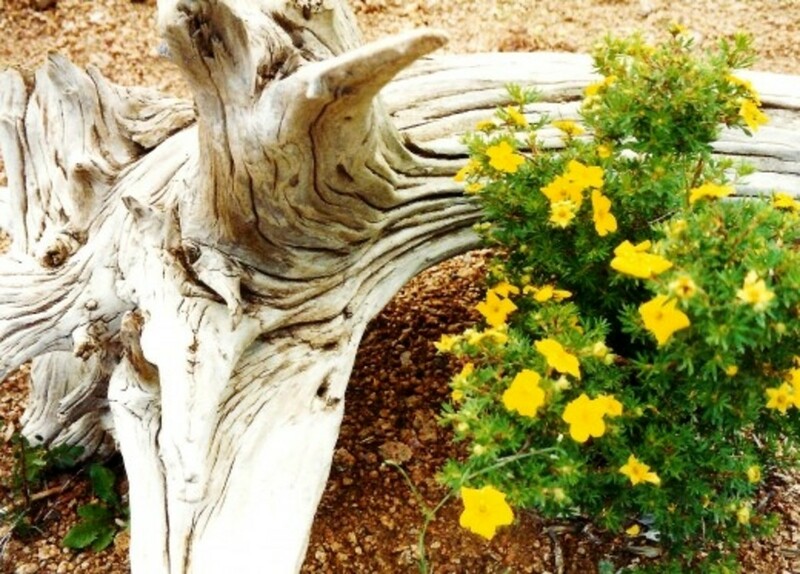 You have memorable photos and great videos of this lovely place. I would love to take the bus tour to Pikes Peak. A great adventure. That would be a genuine concern for sure! 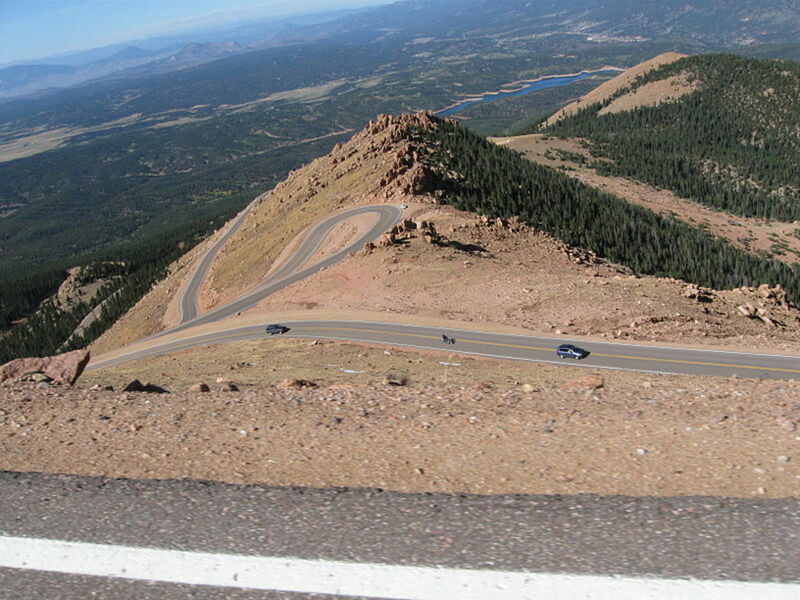 hoping that one's brakes and gears of one's vehicle were in tip top shape as one descended Pikes Peak. That is another reason that my mother and I chose to take a sightseeing bus tour of Pikes Peak instead of doing the driving in a rented car. You must have some great memories from your days spent at Fort Carson. Thanks for your comment on this Colorado Springs hub. I used to look at Pikes Peak every day, Peggy W, when I was stationed at Fort Carson in 1957. 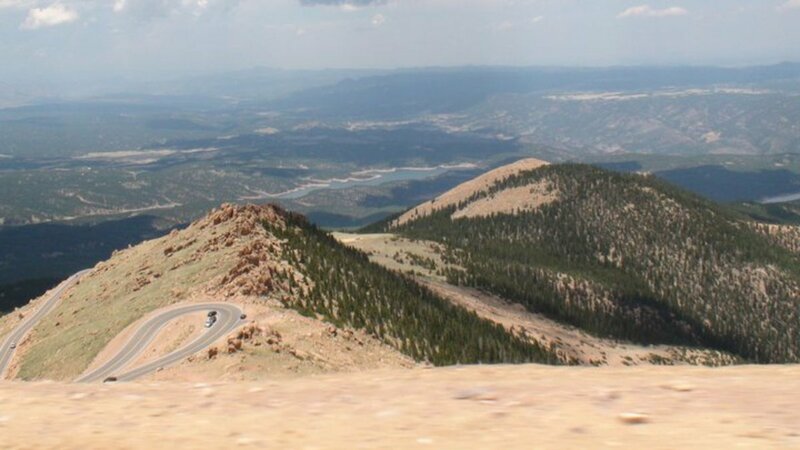 The only thing I remember now about driving to the summit of Pikes Peak was the apprehension I felt as I wondered when my brakes would hold on the long, scary ride down that mountain. Such a wonderful, wonderful world. Thank you for sharing it. We have only visited and vacationed in Colorado. It would be wonderful to have been able to live there for the 4 years you mentioned. Am sure that you probably saw much more than just Pikes Peak in Colorado Springs. Correct? Thanks for your comment. Glad in that case that you could tag along on this sightseeing bus tour of Pikes Peak. For sure that gets you out of your concrete jungle at least for a few moments while you gaze at these pictures of our Colorado Springs vacation. Thanks for the comment. Lived in Colorado four years, always think of Pike's Peak. Thanks Peggy for sharing! Thanks for the votes up on this Colorado Springs vacation hub with pictures of our sightseeing bus tour going up Pikes Peak. Our country is so magnificent in scenery and it is nice to be able to share photos in this way with people who may never have visited places like this. Appreciate your comment. Glad to hear that you liked these pictures. 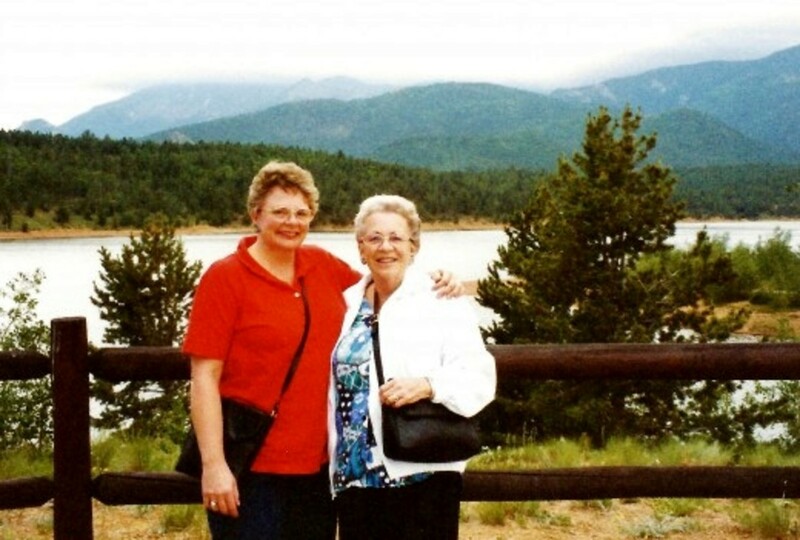 The days my mother and I spent in Colorado on vacation were packed with sightseeing and memories. 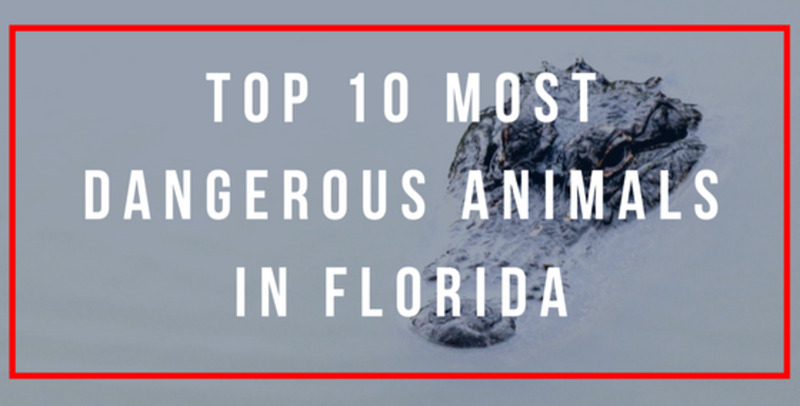 Happy to be able to share some of them here on HubPages. Thanks for the comment. I agree with you in that Colorado Springs is a beautiful place to visit and also a great vacation spot. So much to see and do! Pikes Peak certainly is one of those things to experience if there. Thanks for the comment. 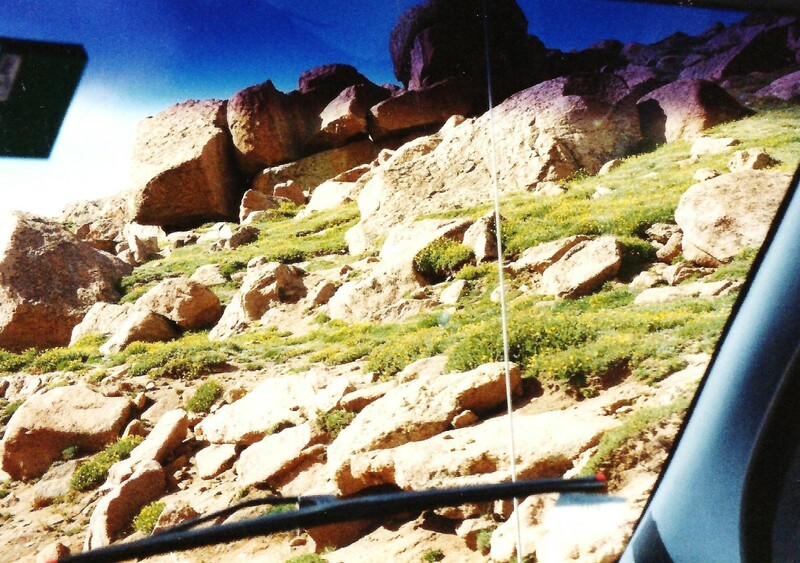 So happy that you enjoyed these pictures showing Pikes Peak and surrounding views as we ascended that tall mountain via our sightseeing bus tour. Thanks for the comment. Peggy, This looks like an awesome vacation. I loved reading all your descriptions and seeing pictures and videos. You did a fantastic job on this hub. Voted/rated beautiful. 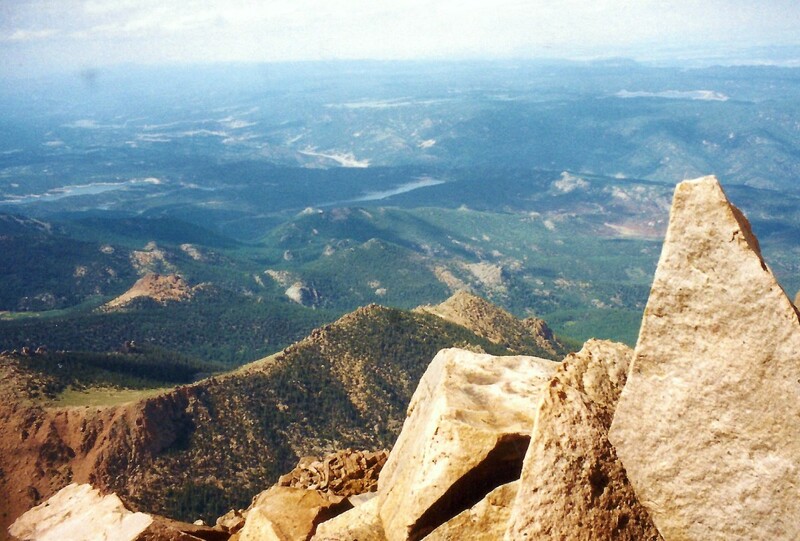 So happy to hear that you enjoyed these pictures of Pikes Peak taken on my mother's and my Colorado Springs vacation some years ago. Thanks for the comment. Hi Peggy - Once again your photos are really fun to see. You nailed it on the head. 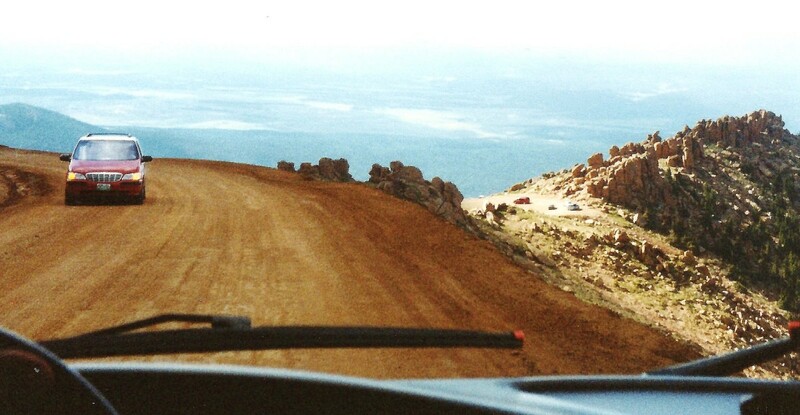 Had I been doing the driving up Pikes Peak instead of being on that sightseeing bus tour, my eyes would have been GLUED to the road and I would have missed seeing much of the scenery. That was a highlight (the high part...for sure!) of our Colorado Springs vacation. Thanks for the first comment. Colorado Springs is a beautiful town and certainly in a beautiful location. I loved going there as a consultant. 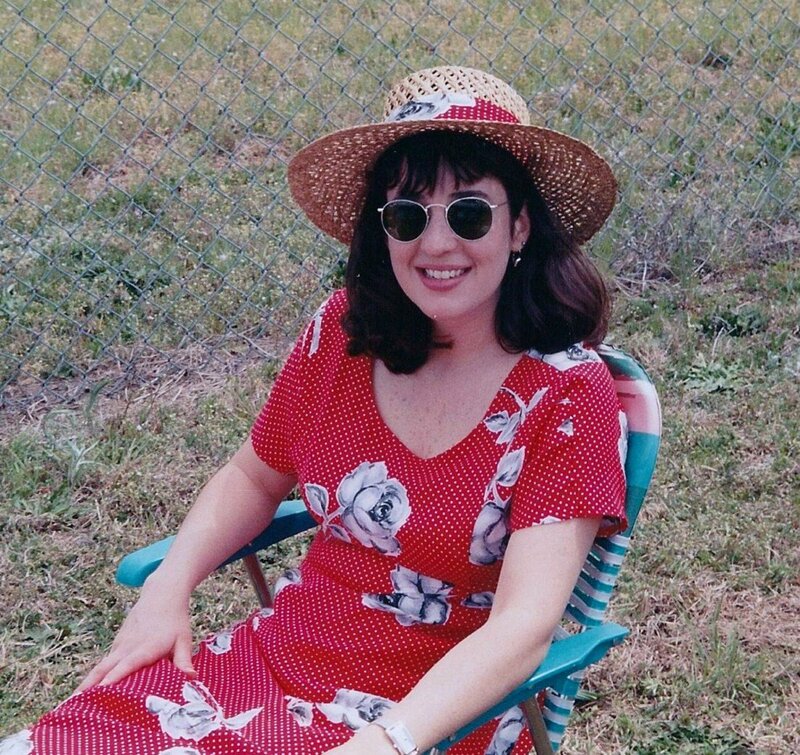 It would be fun to go back on a vacation. Very nice as always dear Peggy. You've found great videos too! Thank you and God bless you. There are advantageous, at times, to taking the bus tours.When driving yourself it is often hard to really look at things without being distracted from the ddriving.